Actor George Clooney and his Italian girlfriend model Elisabetta Canalis, 31, pose together in the 2010 Emmy Awards Trophy Room at the Nokia Theatre on Sunday, August 29 in Los Angeles, CA. 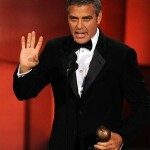 George picked up the Bob Hope Humanitarian Award during the 62nd Primetime Emmy Awards. He received this Award for his history of motivating people in Hollywood to rally together and provide aid and assistance in times of tragedy or disaster. Actress Julianna Marguiles received the honor of presenting the award to her ex E.R. co-star! Mr. Clooney wore a Giorgio Armani classic tuxedo, most recently organized the Hope for Haiti Now after the devastating earthquake in Haiti. 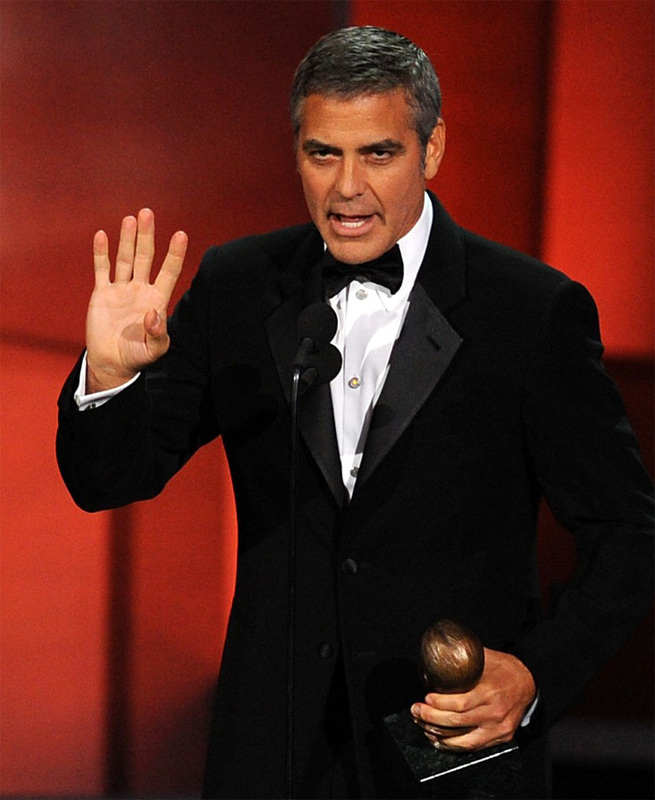 George was presented with the Bob Hope Humanitarian Award at the Primetime Emmy Awards for his work to raise awareness of the crisis in Darfur, and fund-raising efforts for causes ranging from Hurricane Katrina to the Haiti earthquake and the victims of the September 11 2001 attacks on New York and Washington DC. This entry was posted in Actors, Celebs, Elisabetta Canalis, George Clooney, Models on August 30, 2010 by admin. Italian model and actress Elisabetta Canalis has spilled the beans on her partner, George Clooney, it looks like they are very happy together! Elisabetta and George have made it to the one-year mark. “He is always very close to me,” Elisabetta, 31, tells Vanity Fair’s Italian edition. “I am happy like I was when I was 18 years old,” Elisabetta concluded. “Those who criticize or invent stories about us are just jealous.” They have been dating since late 2009. This entry was posted in Actors, Celebs, Elisabetta Canalis, George Clooney, Models on August 3, 2010 by admin.